My dad has taught me a lot of things over the years. Everything from a mean cross-over dribble in basketball that’ll make a defender fall on their keister, to how to handle online banking, to how to decode and respond to a guy’s text message with just the right amount of sass and interest. I am a notorious people pleaser. As in, to a fault. I’ll go practically to physical harm in order to make another person happy or comfortable. So advocating for myself is…well…not something that comes naturally. 2. You are who you are when no one is looking. And this is one that he’s never really come right out and said. Be he communicates this through his actions. His generosity and charity are never broadcast or shown off. He is humble and strong. Don’t let your right hand know what your left hand is doing. We were driving home from dinner downtown the other night, and there was this weathered, gaunt and wrinkled homeless woman. It was about 19 degrees outside, and my dad pulled the car over and went and gave her the meal we had gotten “to go” from the restaurant for lunch the next day. “Could you use a warm meal?” he said, as she just lit up and shed a tear in gratitude. Little things go a long way. 3. What’s black and white and red all over? 4. Invest in people, and they will invest in you. Ah, the “emotional bank account deposit.” Growing up, my brothers and I used to give my dad so much crap for that little metaphor. We thought it was “Off the Richter” in cheesiness. But the older I get, the more I realize that he was right on the money. Everything goes back to relationships. And people remember how you treat them…and others. 5. Lastly, he taught me that I am precious. There are certain things that a daughter can only by taught by her father. And that is that she is a treasure. A father’s love on earth is a reflection of The Father’s love in heaven. We experience what it feels like to be protected. Taken care of. Fought for. Delighted in. A daughter learns from her father that she is precious. So happy birthday, dad. I just don’t know what I did to deserve you as a father. I am profoundly grateful for you, the one who taught me, through example, the deep and powerful love of God. #5 was a near quote made by me to a parishioner about lessons dads teach girls and lessons moms teach boys. Spot on! Happy birthday to your dad! This is a great tribute to your dad,bas a dad, and to you, as a daughter. Happy Birthday!!! Hope he has a great one and many more. God bless you and your family. Really nice. I hope you show this to your dad. Thanks for posting! There are so many things to be grateful for, like our fathers. I know some who either never knew their father, or wished they never did. As a Dad of a daughter and a granddaughter, I approve this message. I was not expecting #3 😉 Haha Sounds like your Dad is pretty cool! Birthday blessings to your Dad! My two adult daughters are smart, beautiful and funny. Like you are to your Dad, precious ! I know he is so proud of you! And I know you taught him a few things on your dad / daughter journey! I thought about St Joseph when I read your blog, His Solemnity is Monday 20 March (19 March falls on Sunday) this year. What makes my day are when my sons tell me I am a good father. Always my great pleasure to read of your days. Thank you for being who you are. Beautiful. Thanks for sharing. I hope I’ve been half the Dad to my girls, that yours seems to have been for you. As a dad with a daughter I can tell you your dad was proud, is proud and always will be proud of you. His pride is a reflection of God’s joy in who you are. Great advice! Your Dad is really cool. Happy Birthday to him! Happy birthday to your Dad! He made you more than he was expecting of you to become…. God Bless and Stay Safe. I bet you made him cry. 😉 Daddies are so precious to us girls. He sounds like a great one. At Patreon. I hope you all had a nice celebration today! I would like to be like your dad. I didn’t grow up with anyone so I was like, how do I do…everything. I had a weird life, so it’s a big fear of most parents to not have an answer. To let them down. Thanks. Are you watching La Belle Et La Bete? I think I’m going to see it this weekend with my mom 🙂 are you?!! Awwww. Yes. I’m in LA. Some stories contain that perfect melancholy of life that love eventually, breaks. I just realized, maybe they both wanted to be loved but to feel love one must also love. It has a timelessness and social commentary sorry, haha. Yes, Friday. That’s great. I was the only single guy in there. Lots of soccer moms. great and you’re so lucky to have an amazing Dad! 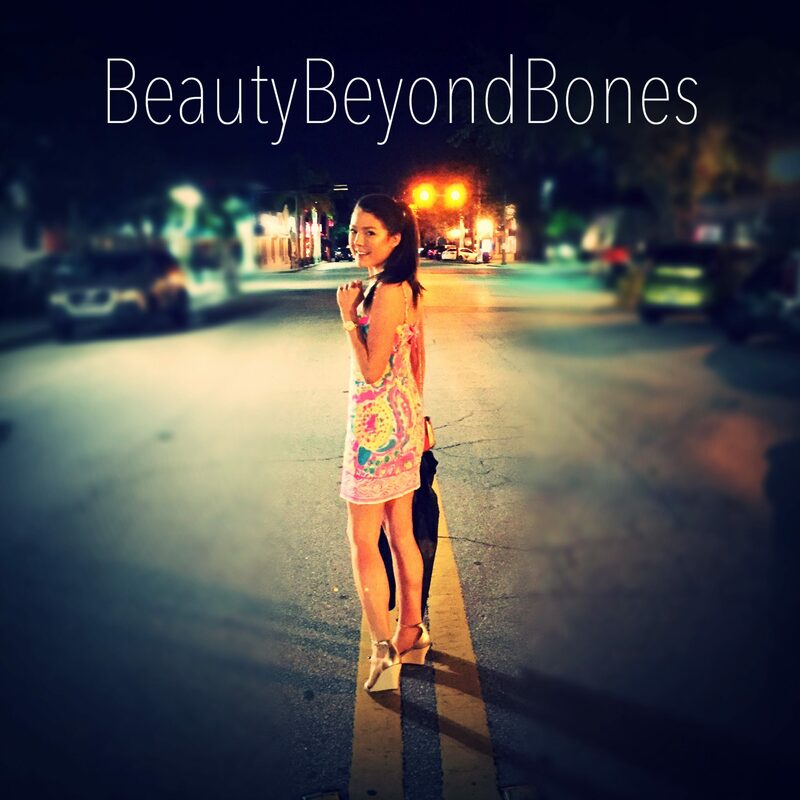 Luv reading your post …..
There’s like a million reasons why I love this post. So so so good!! Happy Birthday to your dad!! This is beautiful–Sending him birthday greetings from Alaska! Thank you for sharing his wisdom, and nunsense (note, those are GREAT plays!). This made me cry. Reminds me of my dad. Happy Birthday to your Dad! These are very great lessons that need to be passed on! And…the most important lesson is…you are precious. No matter what the world says about you, the one thing we should never forget is that we are precious in the eyes of people who really matter to us. God created us as unique as the next guy beside us, so let us be proud of ourselves. Lovely post. Hope your dad is feeling better. Have a lovely celebration! This is just too sweet not to pass along! It’s a beautiful tribute! You are blessed to have such a special dad! Thank you for sharing him with us all. In this sense we can see the balance of give and take. So when we treat people in a friendly way we surely will ripe friendliness. And friendliness does not cost even anything but contributes a bit for a better world. Thanks for sharing and I am also happy that you had such lovely bond with your father. As a Father of two, I want to say thank you for writing this! May you and your family continue to see God’s blessings all around you each day. Peace and love to you all. Happy Birthday to your Dad! He reminds me so much of my own dad – Humble, hard-working, kind, strong, and always willing to talk to me and offer me advice. I’ve learned so much from him during my 28 years on this Earth! I can’t wait to see him on Sunday – He’s been traveling this week visiting his dad (who’s 91), and he’ll be gone again for basically the next two weeks – Church mission trip to North Carolina to do Hurricane Matthew flood relief/repair, and then back down south to see his dad and his sister (She postponed her trip down this week due to the weather – Smart woman). A powerful take home message from that great Post of yours, please let’s not stop writing! Hi, thank you for stopping by my blog post (Reflecting on a whole year). This post was so lovely to read – Top 5 lessons from my father, it’s nice to look back and reflect upon how much we have learnt from our parents. i will take #2 and #4… I have A LOT of work to do there… what a wonderful man your father must be! Happy Birthday to your Dad and God Bless You for all that you have become from both your parents!! Its been a gift to hear about your Mom and now your Dad as well! I wish I had had that same experience (from Dad). You are so precious in this world!! Thank you too for reading my Celtic inspired work. I wrote it while listening to a Celtic Music performance last Sunday. Thank you for touching me with your inspirational shares!! You are more priceless than gold at the end of a rainbow. You are NYC’s treasure at the end of the rainbow there, as well as back in your native town!! That’s the best one yet C. Signed A.
I’m coming home for​ Easter. Hi Caralyn, happy birthday to your father. May he be blessed abundantly in his every need. May the family be blessed abundantly through him. Best regards. Sounds like our dads are pretty similar! I love #2 because it resonates so close to my father. Those little acts of kindness can leave huge imprints in our mind even from a young age! May we all find great qualities in our fathers and let it help us be the best we can be! Good for you. You love your dad. Not everybody does. And by everybody, I mean, me. But that’s only because I didn’t want to go to Montana, and he hit me so hard I got there before everybody else. Well, thanks for your polite remark. No situation in life is perfect, I suppose, for anyone, you included with your what-do-you-call-it…anorexia… Dad’s sayings is, “If you ever get stuck, you just wasn’t goin’ fast enough.” And “If it don’t work, get a bigger hammer.” Me and the them sledge hammers got to be pretty good buddies. They are soooo underrated. that does sound like it would be an incredibly cathartic experience. I’ve done something similar by writing a letter to a person who really hurt me, where i got out all of my feelings and said what i would want to say, and then burned it. it was freeing. A good father is one you never stop learning from. Love him and cherish him everyday! Your dad sounds great! Stay blessed! Beautiful thoughts. I can see- I think caught as well as taught. Hi Caralyn, I know it has been a long time since I have written or commented at all. I am way behind in reading emails also. Even though everything following the stroke is well, I am exhausted much of the time, sleeping or resting lots. Even though I have not been in touch, I think of you and your family often, as well as praying for each of you still. Even with your soft, gentle, loving, giving spirit and heart, it is possible to get worn down at times. I believe that the love you have for your Mom also is a factor, as you see her struggling, knowing that at this moment she is not the Mom you have known, and your heart breaks that you cannot fix things. I am glad you did have a few days away though, to refresh and recharge. Please give your Dad Birthday wishes for me. Also, congratulations to him and your Mom for the beautiful daughter they both have raised. What a beautiful and touching tribute to your dad! He must be so over-the-moon to have you for a daughter. Thank you for sharing these wonderful life lessons. They are really keepers! 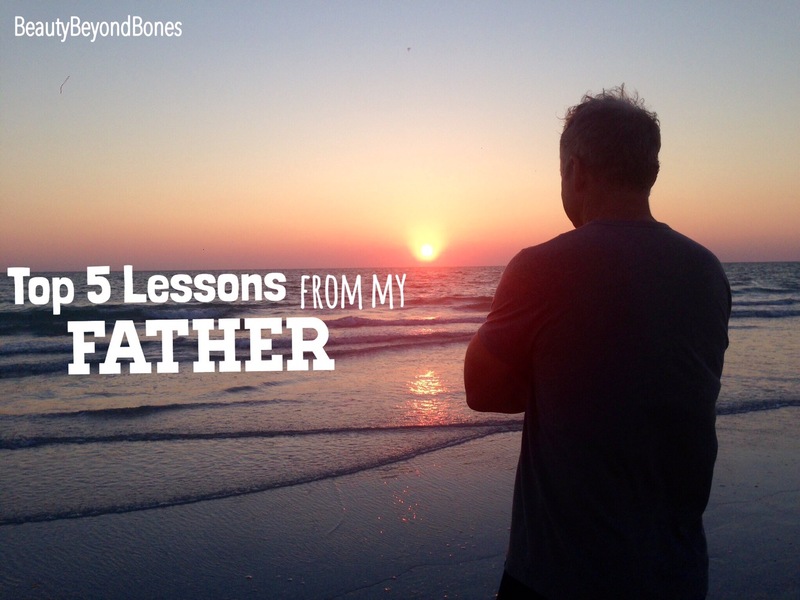 My dad did not teach me any healthy life lessons, but through therapy, I am learning and growing from knowing him. I’m learning a lot about acceptance and forgiveness. It’s hard for me to comprehend a compassionate God, because it was never modeled for me. If it weren’t for people like you offering me a glimpse into the love that exists between you and your father, I would think that paternal love was just a fairy tale someone made up (I still pretty much think that). I’m really touched by this post, more than you know. Happy birthday to your dad! And many blessings to you both! Thank you so much! I am so truly grateful that our paths crossed, as well. I am pretty sure that I am a better person for reading your blog. Maybe you don’t remember this, but when I first started reading I probably commented that I was very insecure speaking about my faith openly. Reading the way you are so open and forthright about your faith and your confidence in God’s love has been such a source of strength and encouragement, and I am gradually speaking up more and more! I think that God gave me the parents he gave me for a reason, and he gave me to them for a reason, in turn. Trauma is generational. It’s the sins of the father handed down to the sons well beyond the 7th generation. I don’t know how it started, and I don’t know what happened in the pasts of my parents that led them to where they are now, but God knows, and he loves us all. What I am learning from my emotionally and psychologically dysfunctional family is that we must learn how to heal, how to accept love, to trust in God’s love for us, and to trust in God’s mercy if we are ever to truly be able to love others. Only God knows the full story of each one of us. We don’t even know our whole stories. And God loves us. Thanks be to God that He is patient with us and never stops giving us second chances. I love this post! I didn’t have the blessing of a good dad while growing up. However, a man and his wife adopted me as their Goddaughter when I was running competitively. A good dad is a treasure! Beautiful post and happy belated to your dad! Quite a lovely and loving tribute. As a father, I have no greater earthly desire than to pass on faith in Christ to my children. I’m sure your words bring tears of joy to your dad’s eyes. I am sure it made your Dad’s day to get that special blog. Isn’t it funny what nuggets stay with us that our parents dropped for us to pick up? Keep making your daddy smile. Beautiful. very beautiful… you just inspired me to write one about my own… on another note, I think all fathers around the world are the same. Lots of Love to you. Priscilla. Spot on I have to say. I often wonder what, if anything, am I teaching my daughter. This post gives me hope. I love my boys but there is something about “my little girl”. From the first time she ever said “I love you Daddy” she has had me wrapped around her little finger. For the past thirteen (13) years I have watched her grow and adapt. I am so proud of the person that she is becoming. Thank you for reminding me how precious she is to me. I can relate to your #1. I honestly struggled to see the difference between love and pleasing others. I’ve come a long way and learned to that pleasing others doesn’t mean I have to compromise my own responsibilities. Thank you for sharing! So good seeing some dad appreciation! Mine is my favourite person in the world! I think my daughter will like this, thanks for posting. I am in love with this. I am dealing with recovery from my own eating disorder. I have an addict around me and things can be especially tough. Your dad has given me a lot to think about. My teacher Gary Avants introduced me to your blog. I love what you write about. My dad has always told me to be myself around people and dont be shy. Show them how you are a loving person you are. He pushes me to do things that I’m afraid of trying. I’m a really shy person when being in front of people which is wierd because I am in colorguard at my school. Being the only daughter he tells me that I am precious and beautiful. My dad showes me that there is love out there. A brilliant post; wonder if I matchup to my daughters like this!